Nakuru RFC have made ten changes to the starting XV for their week four encounter with Blak Blad in Nakuru. Of the fifteen that started in their 50-8 loss to Kabras (their heaviest defeat to the Millers ever and their heaviest in the Kenya Cup in over five seasons), only Emmanuel Mboya, Philip Kwame, Edwins Makori, Chrispin Onyango and Collins Onyango have been retained. Utility back Walter Okoth will make his first appearance since sustaining an injury at the Nakuru 10s in April, lining up in mid field alongside Tyson Atsiago. As a result, Gramwell Bunyasi shifts from outside centre to wing and will be part of a back-three that also comprises of the diminutive Chrispin Onyango and Collins Onyango, who turned a year older on Thursday. In the loosies, Edward Moseti, who played in the front-row last season, will pack down the blindside, Edwin Anunda will be on the opposite flank and Edwins Makori comples the trio. 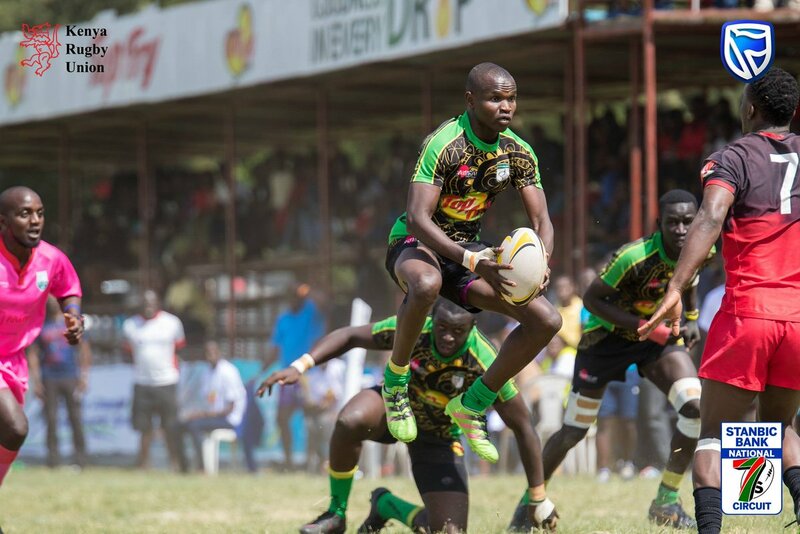 Among those named among the replacements is the fit-again Caccius Omollo, who hasn't played for Nakuru since April; the Nyabondo High School alma mater is set to continue his conversion from winger to flank as he has been named as a back-row cover-he made the switch in February 2018. Nakuru are eighth on the log as a result of one win and two losses while Blak Blad are sixth. Just a solitary point separates the two. Former Western Bulls flanker Joshua Givan will start his first match for Blak Blad in this clash. Givan replaces Humphrey Litali on the blindside flank and will be part of a back-row that also has stalwarts Wesley Kidinga and skipper Ian Obukwa. Coach Mike Otieno has made a total of three changes: Teddy Okal beats Brian Kadenge to the no.11 jersey, as does Doughlas Sifuna to Klain Netto at outside centre.